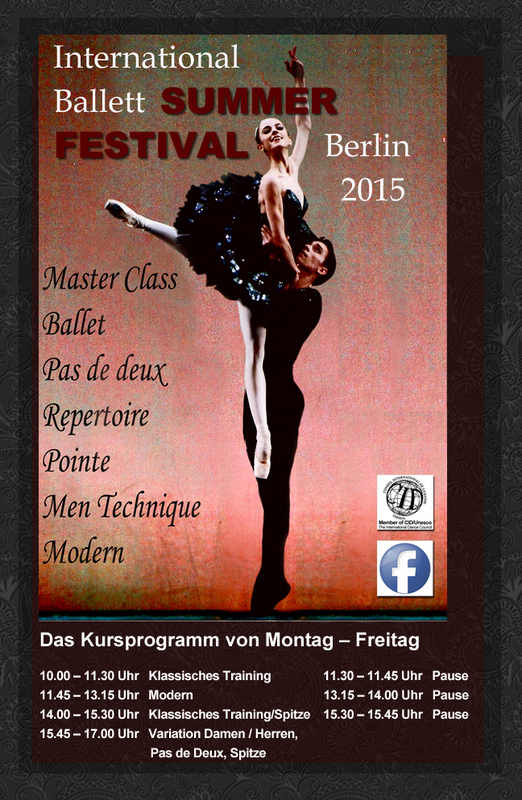 We are looking forward to our next Summer Festival in Berlin. The festival is scheduled for summer 2015. Exact information about the faculty, prices and exact dates will be published at a later date. A testament to the paid course fees must be submitted at the beginning of the summer program. 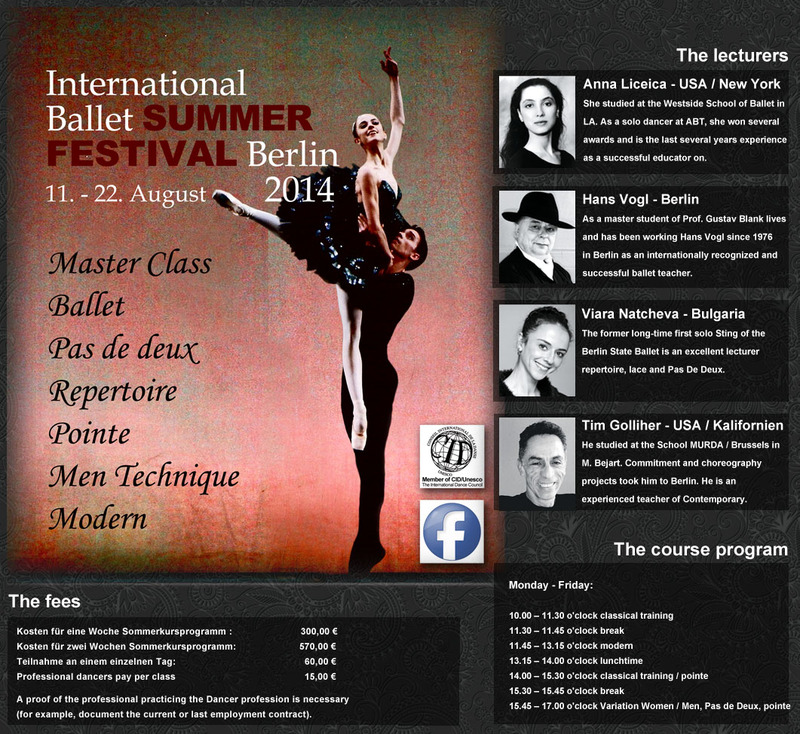 The second International Ballet Summer Festival takes place in the International Dance Academy in Berlin held from 11 to 22 August 2014. To participate, please fill out the registration form and send it to us with a recent full body shot in ballet clothes of it! We accept your registration by mail or by mail like. We then confirm the participation. Accommodation costs are not included in the fees for the summer course! We recommend BERLINS CITY HOSTELin our neighborhood.